We mean “In-Plant logistics as the range of logistics services those required to move the raw materials or finished products within the factory in order to carry out the factory operation. Darcl IPT division offers specialized services by undertaking the logistics operations, including internal transportation within plant, for a variety of customer sites ranging across plants, ports, terminals and yards etc. The services extended include transportation as well as providing handling equipments. In-plant logistics covers movements within the manufacturing plant. Our In-plant services include a range of activities within our customers’ facilities-receipt, in-plant warehousing, line-side feeding, painting, packing and dispatch. This is an end to end activity where the client retains the quality inspection or outsources it to MRC. - -Drain Cleaning, sludge handling and disposal with help of sludge Handling Truck to designated area. 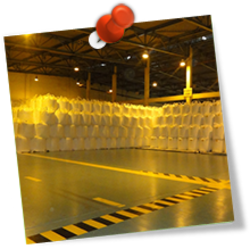 - -Shifting of chemicals from store to Plant Site. - JIT Supplies Management from vendors. In-plant logistics covers movements among the manufactory of raw materials, components and sub-assemblies either from or to stocking points, for turning into finished products, as and delivering them out to the factory gate.